Tasting Notes: An elegant bouquet showing classic aromas of black cherry, wild raspberry and savoury beetroot. The palate is rich and silky with moderate tannins finishing with a hint of darkness chocolate. 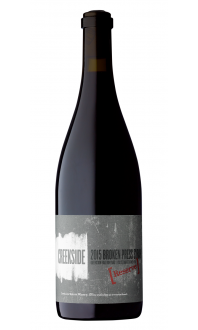 We wanted this Pinot Noir to showcase the elegant character of Niagara Pinot without excessive oak influence. Drinking well now (give it some air!) or rest in the cellar to 2022 to encourage a silky texture over time. Food Pairings: Smoked salmon, beet and goat cheese salad, Roast turkey with sage stuffing, grilled pork tenderloin, and braised lamb dishes. Appearance: Clear, medium deep ruby core fading to a ruby rim. Nose: Medium-plus intense fruit-driven nose of black cherries, ripe raspberries, hints of dark chocolate and smoke. Palate: This wine is medium-bodied with medium-plus acid, and tight, medium tannins. There are medium intense characters of tangy berries, cranberries, rosehips, and woodsy notes. Quality: This is a good quality wine with a nice concentration of fruit and overt freshness, despite still being tightly wound up. It has the structure to pair well with food and will improve with 1-2 years of age to allow the tannins to soften. Food Pairings: Beef bolognaise, Peking duck, braised chicken with mushrooms, chow mein, soy braised pork belly, lamb loin, turkey with cranberry sauce. 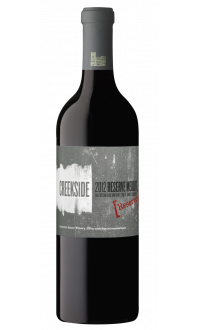 The fruit used to make this wine came from the Queenston Road Vineyard in the St. David's Bench appellation. 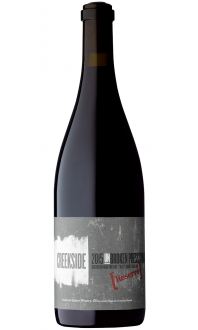 Creekside's goal was to showcase the elegance of Niagara Pinot Noir, without weighing it down with excessive oak character. This wine does display the vibrancy and elegance they had in mind, and there is no overt oakiness. The classically cool 2014 vintage followed an excessively cold winter that damaged vines in many vineyards and lead to decreased yields. The cool growing season was better for reds like Pinot Noir than it was for fuller reds like the Bordeaux varieties. The grapes were crushed to tank for fermentation, left to macerate on the skins for 10 days and aged in older French oak barrels and demi-muids for 10 months. Expressive of the vintage, this wine has fresh acidity and a firm structure that should soften and become more complex in the cellar with a little patience.